13 mobile feeding units (canteens) are headed from Pensacola to Panama City today (Friday). 12 mobile feeding crews are staging in Tallahassee and are prepared to move toward Panama City as conditions allow. An additional 10 units with relief teams are traveling in from Texas. In partnership with The Salvation Army, Operation BBQ Relief is setting up in Panama City Beach. Once they’re operational, canteens will disperse to mobile feeding sites. Salvation Army teams are assessing needs in Bay County and surrounding areas to determine the locations for the feeding sites. Teams are heading to Port St. Joe and Apalachicola to assess damage and needs. It may be another day before teams are able to safely get into Mexico Beach to begin service. The Salvation Army is deploying a Personnel Support Unit (bunkhouse) as well as a shower trailer to support staff and volunteers that are beginning service delivery. Relief teams are moving as quickly as conditions allow to begin service as soon as possible. The Salvation Army is working with corporate partners to establish a communications center in Panama City. 11 mobile feeding units are moving into impacted areas today throughout Leon County, Wakulla County, and Gadsden County. The Salvation Army is working with Operation BBQ Relief to secure a site to set up cooking operations. Teams are working with Emergency Operations Center staff to secure a site that can handle to footprint and equipment needed for this operation. Communications have been the greatest challenge in getting local teams in place to begin service delivery. The Salvation Army is working with state and local emergency management to get food and water into impacted areas. Salvation Army personnel, first responders and Emergency Managers are among those who have been personally impacted by the storm. Many have lost their homes or have experienced severe property damage. 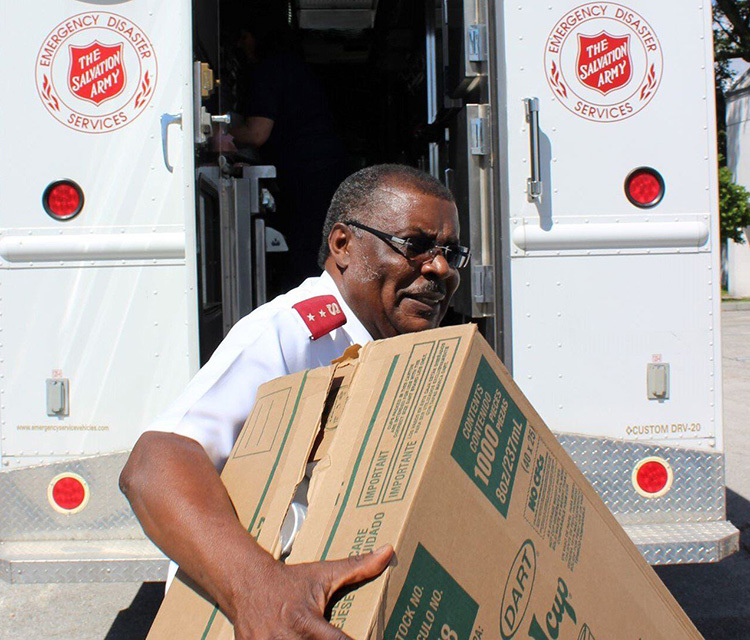 The Salvation Army is working to meet their needs as they continue to serve their communities around the clock. The Salvation Army is coordinating personnel to meet the emotional and spiritual needs of hurricane survivors and first responders.